We have travelled 3 times with "African Touch Safaris" Karoma and Tasha Kimani, loved every minute and would go again! Travelling on these safaris are a visual, sensual, magical time! You experience Africa as it really is, lead by Karoma who is passionate and proud of his African heritage, its history, the people, their culture and the amazing wildlife in the National Parks, Reserves and Animal Conservation Areas. Karoma, Tasha and the crew go the extra mile to show you the best Africa has to offer in all ways. Service is exceptional, from the organisation, special meals and dining (suited to your needs also), information, guiding, knowledge shared and security to comfortable vehicles and accommodation. Been on safari before or want something different?? then try GLAMPING-you won't be disappointed!! 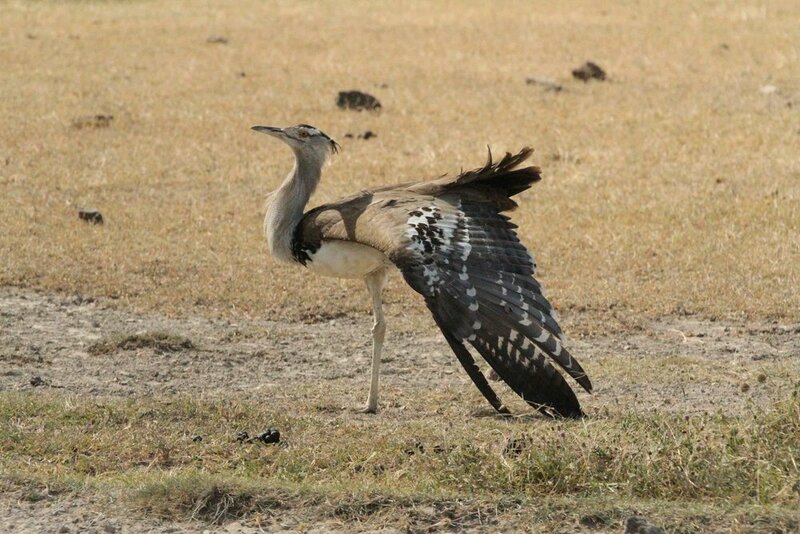 It's fantastic, small group size and special vehicles enables you the best wildlife viewing ever in special National Parks, Reserves and Conservancy's mainly different from the 28 day Safari Trips. The National Parks of the Mt Kenya and Mt Kilimanjaro areas offer wildlife unique only to these areas, another treat! Each night an up-market lodge or luxury tent provides comfort, rest and food after a days game viewing. The quieter pace of this safari offers extra time to absorb Kenya in all its uniqueness!!! Each trip is a photographers delight and dream - so much wildlife, people, places and scenery to record and remember. You will have wonderful memories to share at home and cherish forever from all these trips. It's the BEST REAL AFRICAN experience you could ever imagine. You leave a bit of your heart in Africa on each visit, we know, we have been 3 times!!!! Our adventure with African Touch in August was far more exciting, fun and eye-opening than we could have imagined. Although mainly following the 'tourist route', we felt that we had a special privileged and insightful experience of the amazing landscapes, the intriguing wildlife and especially the different cultures of the area. ( I seem to be using a lot of superlatives - but the whole experience was just that!!) This is due largely to Karoma's knowledge, love and pride of his land - and his willingness to share this with a bunch of strangers of a certain age! Concerns about health and safety were quickly dispelled once we were on our truck - using the hand sanitiser hanging on the truck door became second nature, as did the double hand wash before every meal - no one got sick and the only thing we used from our extensive first aid kit was a sticking plaster! And the spears that the Masai carried while guarding our tents as we slept in the Masai Mara were very polished and serious-looking ones. We weren't at all worried about the lions and hyenas we could hear during the night - or the elephant droppings that littered the camp site! And the food - beautiful fresh food bought from local markets, cooked on charcoal bought from the side of the road and expertly prepared by the ever- cheerful crew. Not one menu was repeated during the whole trip! I would recommend this trip to anyone - I'd like to do it again. We went on Safari with Karoma and his three helpers Amos, Tony, and Niko from 5th July to 1st August 2014 travelling through Uganda, Kenya and Tanzania. Prior to making a final decision with our booking, we had spoken to friends in our region who had been on previous trips with 'African Touch' and they all reported very favourably. As you will read below we were not disappointed! Karoma's in depth knowledge of the region and his passion to share his country with others was very evident. We saw the 'Big Five' animals in the wild, and many 'must sees' such as the UNESCO World Heritage site - Ngorongoro Crater. At the same time we were privileged to be given a glimpse behind the scenes, something of the real Africa - mingling with the local people, visiting schools, and having a meal with Karoma's Mama in her remote village, to name but a few highlights. The standard of meals provided was top notch. Great care was given to hygiene in preparation of meals and washing hands before eating - very worthwhile as nobody had their trip spoilt by tummy upsets and the like. The added attraction was that Amos is a trained chef so the food was healthy and delicious and the local fresh fruit fantastic. From a cost aspect prior to booking we had compared this with other Safari companies and noticed African Touch was one of the cheapest. Thinking of the old adage "you get what you pay for" we were a bit wary. In practice we have very rarely received such good value for money. We were very impressed at the level of service and various extras, such as the flights to Zanzibar from the mainland and back, that were provided and included in the cost. While both in our seventies we had no trouble keeping up with the tenting, walking, and all activities. We could not have been better looked after, and unreservedly recommend 'The African Touch' run by Karoma and his New Zealand wife Tasha to anyone interested in a great adventure. In planning for my safari, I was prepared for a unique adventure. However what Tasha & Karoma delivered to me with The African Touch was far beyond even my high expectations - it was a life altering experience. Every day rendered something new of East Africa, whether it was game searching for its unique & exotic wildlife, dancing with the remote Pokot villages, drifting in a hot air balloon at sunrise over a magnificant bull elephant, or experiencing the mystery of the maze of Stonetown's historic streets. With Karoma's extensive experience in guiding, his focus on a safe and professional safari, and his Masai/Kikuyu heritage and love for Africa, the African Touch indeed became palpable. With Tasha's own experience in the safari industry her highly developed organisational skills, and her equal passion for Africa, I was afforded the opportunity to indeed 'touch' African and momentarily feel its heart beat. Thank you my friends. What a stunning time we had. All our trepidations and misgivings for naught. Thank you for the most fantastic experience of our lives. So well organised, so informative, great food, so much to see and do. A new adventure every day with heaps of fun to be had. Our 28 day Safari to East Africa recently was an EXPERIENCE OF A LIFE TIME. Our travelling was done in a very comfortable truck that was especially built for viewing the Animal Life in the various National Parks and countryside we travelled through. I had imagined that our focus would be only the animals and it was great seeing them wandering around, totally ignoring us. But there was much, much more to our EXPERIENCE! The gap between the rich and the poor was huge but with the lack of possessions they seemed to have a wonderful sense of contentment! A lesson to us al!!! Their clothing was spotless yet very few would have washing machines. Most of the children went to school in uniform and all looked neat and tidy. We had the privilege of visiting a school and seeing the keenness they have for learning. A boy we were told, had 3 hours to walk to school which started at 7-30a.m. and went to 3-30p.m.!!! Can you imagine our youngsters doing that!! We travelled to five main areas to view the Animal Life in their natural environment. We sighted over 20 types of animals and quite a number of birds, some very colourful. The timing was right for us to view the Migration that takes place each year. Thousand of Wildebeest and Zebras leave the Serengeti and travel to the Masai Mara and surrounding countryside. The plantations we saw looked lush. Coconut and banana palms were plentiful, sugar cane, tea, coffee beans, papaw, pineapple, jack fruit were just some we saw. In all this we saw the Hand of our Creator. I could go on and on. Thank you Tasha and Karoma for the trip of a lifetime. Are you nearing 80 and need a challenge? I am 82 just home from a safari with The African Touch; and enjoyed something new happening every day. Good company, good food, comfortable in my cozy tent, well looked after by Tasha & Karoma. Give it a go, this safari is not for the young ones only. Wow. What an adventure - our first African experience. My husband and I didn't have the courage or confidence to travel through East Africa on our own, so when we cam across The African Touch; we knew it was right for us; and we weren't disappointed. Tasha and Karoma were the best guides you could wish for with their years of experience and vast knowledge of the area. We slept in tents for 21 nights on comfortable mattresses, and we always felt safe even though we had hippopotamus grazing around our tents one night and Massai Warriors guarding us from the lions in the Massai Mara National Reserve. We arrived in Entebbe and lived off a specially converted truck, Juju. We travelled through Uganda, Kenya, Tanzania and Zanzibar. 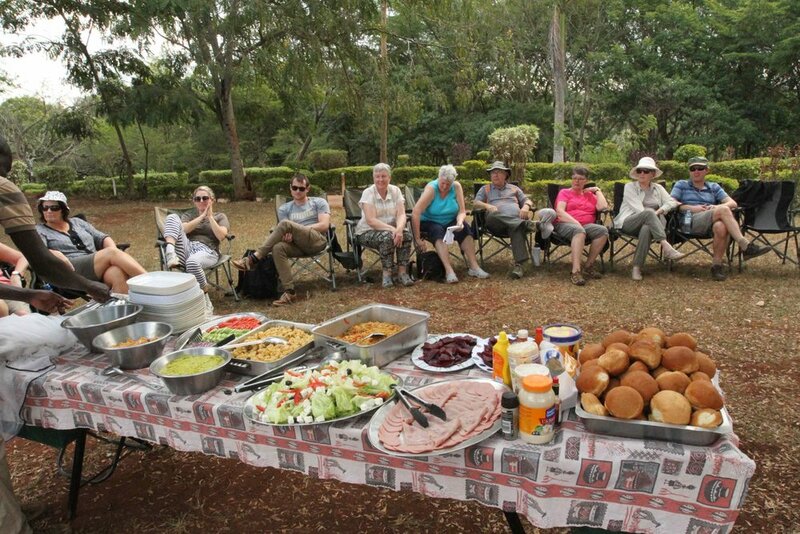 Our meals were all prepared for us by Johnny our Kenyan cook and we ate lots of beautiful fresh fruit and vegetables bought from the local markets etc. The game drives were always exciting, seeing all the animals in the wild; giraffes, elephants, lions the migration of the wildebeest and zebra. Thousands of pink flamingos were an awesome sight along with lots of other amazing birds. But we found there is much more to Africa than just the animals; with the people, the culture and the landscape. Karoma is passionate about his country and didn't want us to feel sorry for the people because they don'T know anything else and are happy in their lives. It was heart warming, driving along with children smiling, yelling jambo and waving to us. We were taken into a Pokot Village and a Massai Village to mix with the people and learn about how they live. Another highlight was going into Ngondi, the home of Karoma`s Mama Wainaina. We had a traditional lunch and visited the local school. We also had our first hot Air Balloon experience over the Massai Mara. We watched the sunrise over the reserve and finished with a champagne breakfast under a thorny acacia tree. We can't stop talking about our trip since we have come home and are now planning to go through Namibia and Botswana with The African Touch in 2010. I just wanted to get some words of appreciation for a fantastic safari off to you. Firstly the pre-departure literature you put out which I think was excellent and gave us all we needed to know to ensure that the traveller was well prepared for all Africa had to offer (including its unique laid-back culture) I can't think of any facts we needed to know to ensure the safari was as safe and enjoyable as possible. You completed this with great organisation on your part, kept us informed on a daily basis, particularly coming into the truck, with Tembo, whenever we stopped to inform us where we were and what was on offer and the time we were to spend there. It was great having all our meals supplied and of such good quality. Help was always at hand with tents and setting up camp. I wonder if the next occupant of Hungry Hippo tent will have the experience I had of the grazing hippo just the other side of the canvas, an amazing literate hippo! It was wonderful! We saw all the animals we wanted to see and some we didn't expect to! The food from the truck was excellent and the wide range of activities made the trip one to remember. Mike added quite a few birds to his world list, and I was rapt with the tour of the bead factory and also the knitwear factory. It was wonderful to meet the African people in their own environment - something other tours would miss out on. I would recommend the trip to anyone with a sense of adventure and humour! I thoroughly enjoyed my stay in Africa in just about every aspect. The Family tour was well organized and had a great mix of African culture and Safari animals. It had a great atmosphere and everyone was so excited to be in such a unique and wonderful place. The trip was awesome packed with many memorable moments & we have lots of fantastic photos and souvenirs to prove it. The Ngorongoro crater in particular was great. We saw plenty of animals extremely close on the game drive. The Jurassic Park like misty jungle surrounds heading into the crater on the zig zagging narrow dirt road was magical. The hot air balloon ride in the Mara National Park was breath taking and is defiantly a highlight (as well as the champagne breakfast amongst the animals). There was so much more to the tour than just going on safari. Stone Town on Zanzibar Island was my favorite destination. It has so much history, historic architecture, and lots of activities to do like scuba diving, touring spice farms and shopping. I really enjoyed learning about the African culture and ways of life. Being invited to an African school to do activities like making cards and playing sports was a very unique experience. Thanks for the superb trip, It was also a great time to bond with my family as well as the other families and Guides. Tasha & Karoma were excellent informative guides and also Vincent and Josh who did all the grouling tasks and made exquisite meals that we couldn't have done without. I defiantly have no hesitation in recommending "African Touch" for any trip to East Africa. This trip is a rare and wonderful opportunity. It is different enough to be exciting for people who want an adventure and yet safe enough for less intrepid travellers who need a degree of security. After I'd booked this trip but before it started I wondered if I'd done the right thing. Africa seemed quite a scary place to go and people I spoke to kept asking me if it was safe! But from the moment Tasha and Karoma met us in Entebbe I felt reassured and excited about all the things we were going to do. From then on the trip was just an amazing experience. There were many wonderful aspects of our trip but perhaps the thing that I most appreciated was the attention Tasha and Karoma paid to us as individual people with our own requirements and special desires. They accommodated our wishes whenever possible and anticipated our needs at all stages of the trip. On top of all that they displayed a relaxed manner and exceptional good humour throughout. They shared with us their love for the land we travelled through and we benefitted from their knowledge and insight. They took the hassle out of travelling in foreign countries and allowed us the luxury of feeling relaxed and confident. Tasha and Karoma made this trip special by being special people. Words can't describe what a wonderful experience it was travelling with you on safari in East Africa. You promised us so much, but delivered much more. East Africa is a truly amazing place and you showed us so many examples of fantastic scenery, beautiful animals and most importantly, the incredibly resilient people who live there. 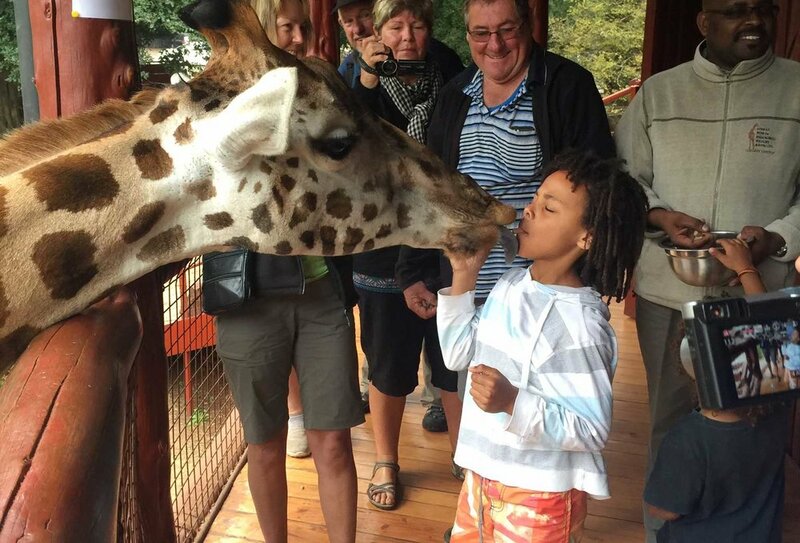 We were privileged to see the people and animals interact with each other and the environment. You are an amazing young couple with such patience and creativity. Nothing was too much trouble, the food was always delicious, the beds and the bus seats were very comfortable. The tolerance, helpfulness, caring and sense of adventure and fun you provided our group of "old fossils" was outstanding. We think that anyone travelling to Africa on safari would be unlikely to find a better organisation to travel with. We wish you all the best. Keep us posted. We will be interested in any new tours you plan. I have found your tour to be the best I have ever gone on, the way you have looked after me and answered all my questions is amazing, and taking our group into the wild and looking after us was fantastic. I never dreamed that we could get so close to the wild animals, meet the different tribes and talk with them, with Karoma's help, and the visit to the Pokot tribe and the Massai tribe was out of this world. Every where you two took us it was fantastic, every day was filled with new wonder and enlightenment and amazement. Your cook was excellent (Henry) and the helper (Vincent) was the best worker I have seen in a long time, the food was top notch and the way they looked after us was fantastic, plenty of food. Even rafting down the Nile was just beyond believe the water was so warm it was a pleasant shock and I might add a good time to have a great wash.
On closing I must thank you for the time and dedication you have shown us all on that tour into the past, another life style was opened up for us to see and the off track places we went to were amazing. Tasha and Karoma I must thank you for the holiday and I wish all the best in the future you are both a very caring couple. What an AMAZING journey we have shared with you both on "The African Touch" and the rest of our fellow travellers. We would like to thank you both very much for letting us share with you the magic of your Africa, the animals in the wild, the game parks, the country side and the adventures it has to offer, the people and the children, those dear wee children with big eyes, smiling faces and those little hands waving frantically. Thank you for imparting you knowledge to us, for your excellent wisdom and for your very adept organisational skills. Your guidance was always very much appreciated, and was always given with such politeness and grace. Thank you for sharing your family with us, this was a special moment for us and gave us a real insight into family life. "Juju" became like part of our family and congratulations on doing such a fine job of building her. We would like to wish 'The African Touch' all the best, we know with you two as the leaders it will be a huge success. We would like to thank you both very much for such an exciting, well organised trip where we have learnt so much about other people, their cultures and how well off we are here in New Zealand, but that all we have here, is not really necessary to be happy. It makes you take a breath and think more carefully about wishes and dreams, to be sure. We will never forget those little faces of the children out waving as we whizzed past in Juju, your very comfortable truck, it is something that will remain with us forever. Passing from Kenya to Uganda and then into Kenya again before entering Tanzania meant we covered so many Game Parks and these were all so fantastic and we saw the big 9 of the animals. Tasha thank you for the great amount you put into having it all run so smoothly and Karoma thank you for all the hours driving you did and also for the smooth running of camp life. We really appreciated and understand a lot more how hard it can be on 'African time' to be so well organised. Thank you Tasha and Karoma for the experience of a lifetime. Those little children who so happily waved to us and called out 'jambo' were just delightful. It was so humbling to see how happy they all are just living in their mud huts with so very little. And of course the big five animals were something very special to see. The camp food was great and your careful attention to hygiene on the truck was much appreciated. We were very comfortable in our tent and really enjoyed camping alongside the others on our tour. The wide variety of locations that we found ourselves was quite mind boggling and the truck was really comfortable too. We would definitely recommend the African Touch, with you two in charge, to anyone contemplating an African Safari tour. Well done! I bet your pleased to have Karoma home finally, I know he was dying to get home to you all and especially your new baby boy :) I hope all is well and he is letting you get some sleep. I just wanted to write and let you know how much I enjoyed my adventure through Africa. It was absolutely sensational!! I had a wonderful time, everyday was as good as if not better than the last. I woke up each morning wondering how this day could bet the last. The midwifery side was fantastic, it is something I have always wanted to do, and it was above and beyond my expectations. For me the Pokot tribe was the highlight, that was such an experience, one never to forget. Such a privilege. And as for Karoma, :) well you certainly have your hands full there tash :) I know Karoma will be laughing now. He was fab, couldn't have asked for a better guide, driver, african encyclopedia, entertainer, and friend. He was great, I can also see that it would be some else to have you and the boys with us, but even so it was every thing I imagined it would be and more. I have told lots of midwives about your safari and they are all keen for next year. A couple said they have emailed you already. All the best for the future safaris, and hopefully I will be on one again soon. Never underestimate the the value of your trips, they are certainly once in a lifetime experiences. Thankyou so much, my love to the family. Its now back to normal life after a week and I still have great memories of the time in Africa with you both. I just want to say how good the Africa experience was and a lot of that is to do with the fantastic organization behind the scenes and of course the implementation during the tour. The food was great with lots of variety. The Champagne lunch and cheese events were well thought out and spaced nicely. The accommodation in tents was ok but the unexpected upgrade was a nice touch. I’m just going through the photos and enjoying the trip all over again. The thing that struck me most was the friendly and helpful nature of all the crew. I have only one suggestion and that is for Karoma to dress up in his traditional dress on the night of the last joint dinner, That would finish the trip with a nice African Touch. Good luck with future tours. Please keep me informed of future tours as I am keen to see more of Africa. Adventure before dementia is my aim. This year in May and June we travelled to Africa with The African Touch accompanied by Karoma and Tasha Kimani and their 3 young boys and Cherry Wintle, Tasha’s Mum. This is the second trip we have done with The African Touch, the first in 2011 to East Africa and this year to Southern Africa. In 2011 we were complete newbies to Africa and the idea of truck travel and camping for our age group (we are now 68 and 69) We loved it all and found the planning and organisation of the trip to be outstanding. Karoma is a passionate African who is knowledgeable and generous in his sharing of the wonders of Africa. This year was every bit as good as 2011, well planned and organised again and made even more fun by having Tasha and the boys along. We were very well fed and looked after by the crew on the truck with great input by Tasha into the menus and shopping. We cannot recommend The African Touch higher, for safe travel and great experiences in the wonderful world that is Africa. Well it's our last night on the African continent and we can't work out where 6 weeks have gone. We are so glad that we met you both at the camper van show early last year. We would never have experienced the wonder, that is Africa, without your help. Rob and I enjoyed every day of the tour, mostly because of your leadership Karoma and your organisation Tasha. The last two days we have been in Victoria Falls. It has been the perfect finish to our holiday. A helicopter ride over the falls this morning, a delicious lunch at the cafe overlooking the gorge then zip lining across the gorge and canopy- all made a perfect final day. Tomorrow we fly home to NZ, very happy with all our experiences in this colourful continent. Thanks for sharing your husband, dad and best mate. He’s a legend!! We have just returned from the most fabulous 4 weeks in Africa and while you weren’t there, you were close in thought and popped up in Karoma’s comments in the most beautiful way. As you probably know, no words adequately define this totally amazing unique experience. I went on an impulse, not knowing much about Africa, except that we had selected a top guide/company and I knew I would love the people. In every way Tash the trip, exceeded our expectations. You and Karoma have designed the most “African Touch” connected tour with the beauty of the animals, the vibrancy of the people and culture in a very dynamic, fun way that is unforgettable. Everyday every detail is attended to with so many surprises .... a real holiday. We will be very happy to highly recommended African Touch and the great team who support this slick operation. Just wanted to endorse everything Charee has spoken from the heart. An extra big thanks for the pre trip advise and the organisation to connect us with the tour out of Nairobi. The meals were consistently superb, how can we ever match the menu. I am on cooking duties this week, mince on toast for the second night in a row. The tour is exceptional, I say that in the present tense as the memories and lessons will last the rest of my life. By lessons I mean being exposed to a different culture and Karoma sharing his thoughts on just about every aspect of life. Also the gift of hospitality which was so evident and marked my thoughts even in my dreams.